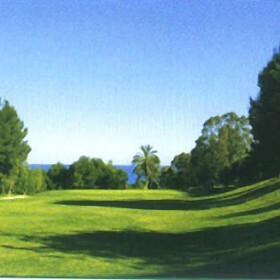 The Don Cayo golf club was founded in 1974 by Don Luis Campomanes Asumendi, as part of the “El Aramo” residential development project. It is situated in the foothills of the Sierra Bernia mountain range, close to the beautiful Mediterranean village of Altea. 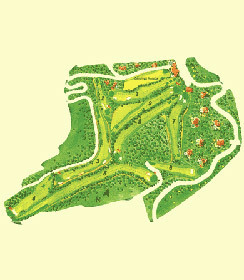 With a round of 3,078 metres from the white tees, extremely difficult holes – such as the 5th (a 580-metre par 5) or the 6th (a slightly uphill 227-metre par 3) – alternate with recovery holes which also require accuracy if you want to land the ball on the fairway. Players tend to prefer the 3rd, a par 5 with views of the sea, and the 7th from where you can make out the mountains surrounding the Marina Baixa.